With a private coach from GOGO Charters, your group won’t have to worry about relying on public transportation or, worse, navigating NYC’s busy streets yourself! We can provide transportation for family reunions, church groups, school trips and other groups of all shapes and sizes. Book transportation for your family reunion, school or church group now by calling (212) 356-0174. Traveling into New York City for a group trip? A bus from GOGO Charters is the perfect way to take in the city without wearing out your feet. We have access to a variety of buses for groups of all shapes and sizes and a superior sales team that?u20acu2122s willing to work with you 24/7 to tailor your bus rental to your needs. Having logged over 5 million miles across the nation with 0 accidents, we?u20acu2122re your #1 choice for private bus rentals in the Big Apple. Whether you’re riding into the city or looking for transportation through New York’s famous five boroughs, we’ve got you covered. Buses are a great way to save money on airfare and still travel comfortably across the nation, and with a variety of comfortable amenities offered on all GOGO Charters buses, you’ll always travel in comfort– we can offer reclining seats, air temperature control, on-board lavatories, WiFi, and TVs with DVD players. For more detailed information on bus pricing, check out our pricing guide! However, if you still prefer to fly into the city, we’ll pick you up right at JFK, LaGuardia, or Newark and take you right to your hotel. Rather than wait around for a public bus, let GOGO Charters be your personal airport transfer service. With a private coach from GOGO Charters, you won’t have to worry about relying on public transportation or, worse, navigating NYC’s busy streets yourself! 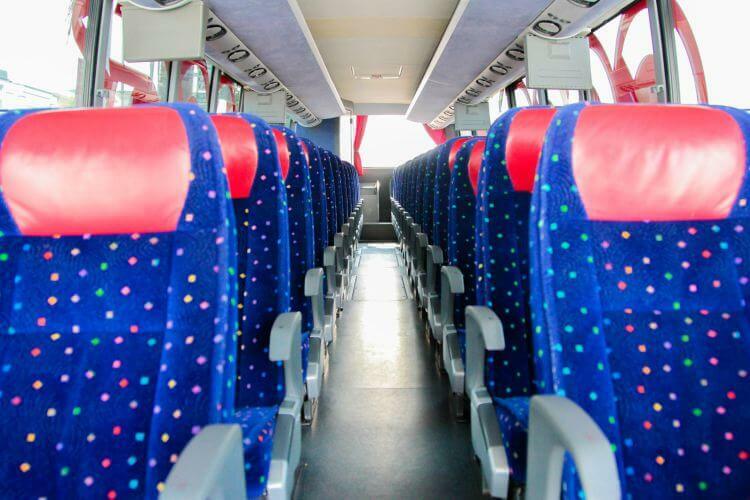 We can accommodate groups of all shapes and sizes, with a selection of buses ranging from 14-passenger minibuses to 56-passenger full-size coaches. Whether you’re brand-new to New York or already a veteran tourist, a bus from GOGO Charters is the perfect way to get around the city. Worried about working your way through NYC’s notorious traffic? With a hop-on hop-off charter bus tour, you can take in all of New York’s most iconic views from the comfort of your own personal bus. Enjoy Times Square’s mesmerizing flashing lights without having to worry about blocking the sidewalk or wandering into the street; or, take a drive over the Brooklyn Bridge for a beautiful view of one of the world’s most famous skylines. New York City is home to a number of prestigious universities, including Columbia, NYU, and Juilliard, among others. Worried about making time to see them all in one trip? Book a private bus with GOGO Charters that will travel from one campus to the next on your time. You'll enjoy personalized tour services with your own driver, who will take you through each campus and around the city so you can familiarize yourself with the area. In between tours, your driver will also take you to local restaurants and attractions, ensuring that you fully enjoy your college tour. Seeking a more comfortable alternative to a school bus? 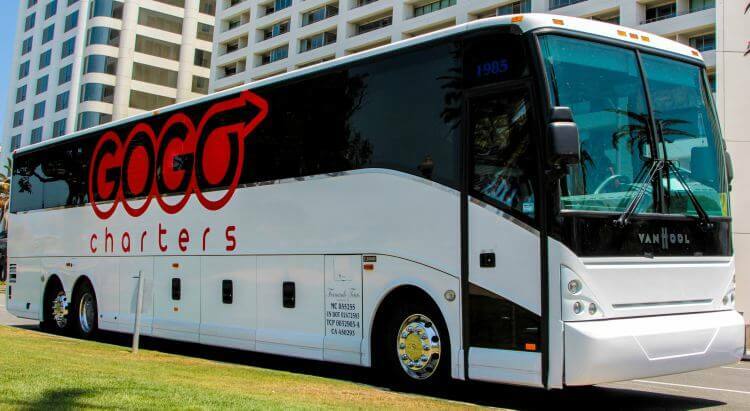 After a long day of exploring the city, you’ll want a comfortable ride back to your school or hotel, and a charter bus from GOGO Charters can give you just that. Our drivers are experts at safely transporting groups around the city, so you can sit back and relax while your driver takes you back home for a full night’s sleep. Head over to the American Museum of Natural History for a look at over 33 million specimens housed over 2 million square feet of museum space. Coach buses can pick up and drop off students and staff two blocks from the main entrance, on 81st street, for a fun and education day at the museum. Or, take your students over for a gorgeous walk through the New York Botanical Gardens, where they can stroll past over 1 million living plants and learn about plant science, ecology, and even nutrition through one of the gardens’ special programs. Your bus can drop you off right at the designated school entrance at the Everett Garden Gate. Buses are perfect for weekend retreats, conventions, choir tours, or even just a day trip around the city. Rent a minibus for a small group of up to 25, a charter bus larger groups, or a combination of the two to accommodate groups of any shape or size. You’ll be able to socialize while on the road on a personal bus booked just for you. Plus, we offer discounts for non-profit organizations! Take a bus to any of New York’s famous churches, such as St. Mark’s Church in-the-Bowery, New York’s oldest site of continuous religious practice. The church offers rental space for visiting groups in their Parish Hall, Sanctuary, and East and West yards. For families of all sizes, a bus from GOGO Charters is the perfect way to keep everyone together while you explore the city. We can take you right into New York from anywhere in the nation, and arrange transportation for your entire stay. While you’re busy spending time with your family at restaurants, museums, and any of the other iconic destinations New York has to offer, we’ll handle all of the transportation logistics, making your trip smooth and memorable. Brooklyn’s Greenwood Park is a great stop for families with a wide variety of age ranges. They offer rental spaces for private events within their 13,000-square-foot combined indoor/outdoor space. The space is open for lunch and dinner and includes TVs, a projector, and WiFi, making it perfect for a family-friendly event shared with loved ones. Hop on your mini bus and head over with your family! Whether you’re familiarizing yourself with the city or capping off a long day of sightseeing, a bus is the perfect way to explore with your group. Let one of our experience drivers handle the navigation while you sit back and enjoy premium amenities such as reclining seats, air temperature controls, and even WiFi and on-board lavatories. Make your trip to New York City unforgettable with a personal bus service from GOGO Charters. Have any more questions about renting a bus in New York City? Our sales team is available 24/7 to answer any questions you may have and organize your rental. With access to a wide selection of buses, we’re sure to find one that’s perfect for you, whether it be for your next wedding, corporate trip, sporting event, or private affair. Call us at (212) 356-0174 for a free quote today!